Don Van Beck had a vision for a Vietnam War memorial to be added to the Veterans Memorial Park in Leesburg. He met a great deal of resistance when he presented the idea to Leesburg city leadership. 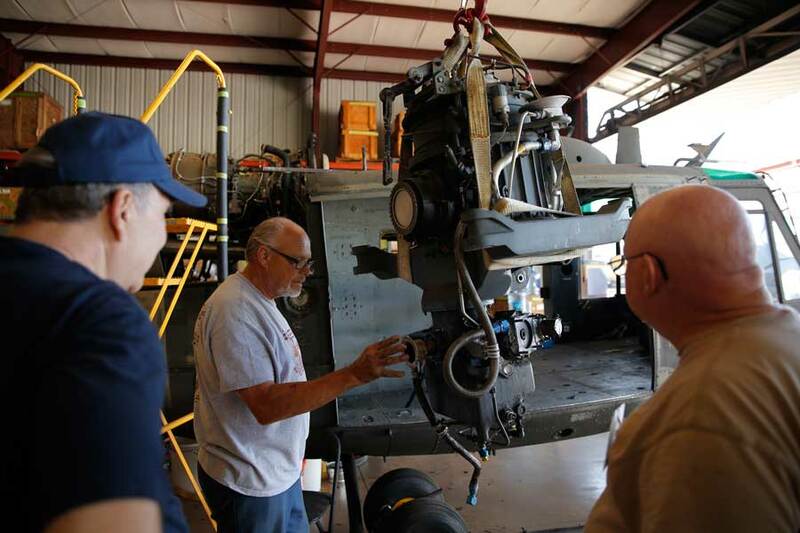 But engaging in battle is nothing new for the veteran of World War II and the Korean War, he just dug in and continued moving forward with plans to get a Huey helicopter. The Bell UH-1 Iroquois military helicopter, unofficially called a Huey, was developed by Bell Helicopter to be used as a United States Army medical evacuation and utility chopper. Production began on the helicopters in March 1960, and approximately 7,000 of them flew in Vietnam for the Army and Navy. Chuck Brainerd, owner of Brainerd Helicopters in Leesburg, flew search-and-destroy missions in Vietnam, and he says often wounded men would be loaded onto his helicopter because they could get back quicker to receive medical care. “A lot of Vietnam vets are alive because they could ride in one of those. They didn’t have to wait for the medevac,” Chuck says. “If you were alive when you got on the chopper, you had a 90 percent chance of survival.” Chuck, who was also instrumental in getting the helicopter to Leesburg, had his men put it outside one of the Brainerd Helicopter hangars, and the volunteers had their first meeting with the familiar bird. As the men opened the doors and touched the helicopter’s body like it was gold, Chuck smiled and admitted he wasn’t too sure the helicopter should be in a static place. “I think aircraft ought to be flying,” says the man who is often at the helm of a Brainerd Helicopter. This chopper was among more than 50 stored in Sanford and owned by the United States State Department. The insignia painted on the side of the helicopter reads, “Med Co Air Ambulance 249th DET1 Dustoff.” In its center is a heart with wings attached and an anchor in the middle. The choppers became known as Dustoffs in Vietnam because the Army medevac pilots were known for flying into dangerous places to rescue the wounded. Though many of them still fly, Hueys are gradually being phased out due to their age and being replaced with the UH-60 Blackhawks used in Iraq and Afghanistan. Don had no problems getting help restoring the big bird. “My phone number was in one of the articles, and I started getting phone calls from these guys right away. We’ve got some great mechanics working on it,” Don says. There was plenty of discussion at that first meeting about where to begin, what was expected, and plans for the finished product. They exchanged ideas, shared experiences, and generally enjoyed being in the company of other men who truly appreciated the Huey helicopter, occasionally glancing at the big green bird that was basking in the sun on the tarmac. 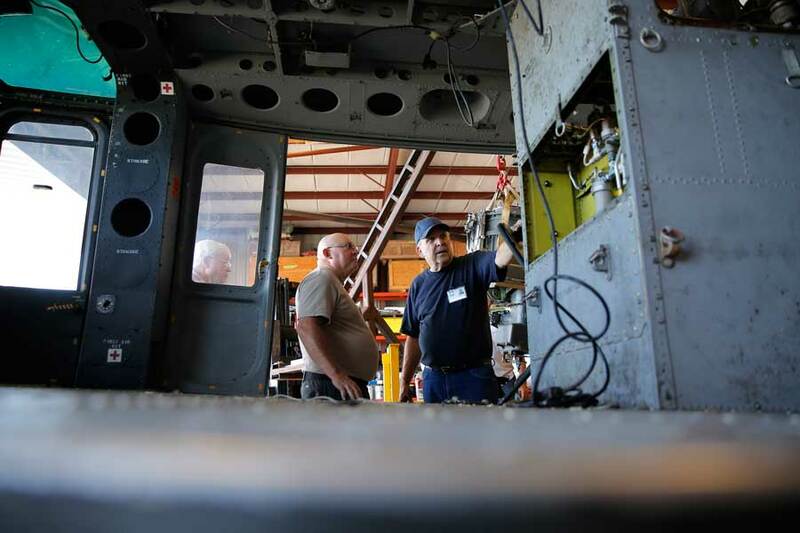 “It has been 50 years since I’ve been in a helicopter, but when I saw the article, I immediately called to volunteer,” says Greg Fernance, crew chief of the volunteers. He was in the United States Marine Corps and served as an instructor, training crews to go to Vietnam from 1962-1968. Though Don isn’t able to do the physical labor himself, that doesn’t keep him from being in the hangar whenever the volunteers are working. He watches them work with a pride similar to a father’s, knowing their work toward making the memorial real is vital. 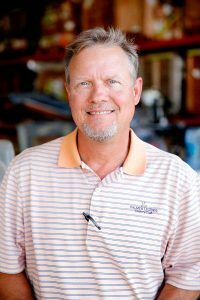 “We have nine volunteers, and they’re doing a terrific job. Mike was in Vietnam from 1968-1969. The cockpit of the Huey is big but also incredibly small as you realize all those instruments and gauges had to be monitored during flights where the helicopters were targets for people with rocket launchers on the ground. The pilots’ seats were armored, and the men wore bulletproof vests that weighed 40 pounds. They called them “chicken plates.” “My seat was hit twice, and it protected me,” Chuck said. “But I was afraid they’d hit me in the head. I painted a red and white target on my helmet, figuring they could try to hit it but couldn’t because it was so far away. ” The design for the memorial has the copter looking like it’s in flight, with the crew (replaced by mannequins, of course) in place. Before it can be placed on the pole in its permanent place, it has to be tested to see if it’s structurally sound and able to withstand up to 140-mile-an-hour winds. That’s where Michael Springstead enters the picture. Michael is a structural and civil engineer who’s making sure everything is done correctly so that the monument is as safe and durable as possible. “I’m working on the drawings and plans, but I’ll leave it to the helicopter experts to move it. I’m just helping with the mounting.” Don says by the time the helicopter is ready to be go on the pole it will weigh just under 5,000 pounds. To this day, the Huey helicopter is a true symbol of the Vietnam War. For the first time, Americans watched on their televisions as those in service on the battlefield were filmed for the evening news from the war. Cary Cuyler, a volunteer who entered the Army as an enlisted man, went to OCS flight school after serving in Vietnam. It was said that only the Huey could have accomplished what it did during that war, such as placing men, supplies, or artillery where they were needed in less time. The agility of the machine meant projects were handled in a matter of days rather than weeks. 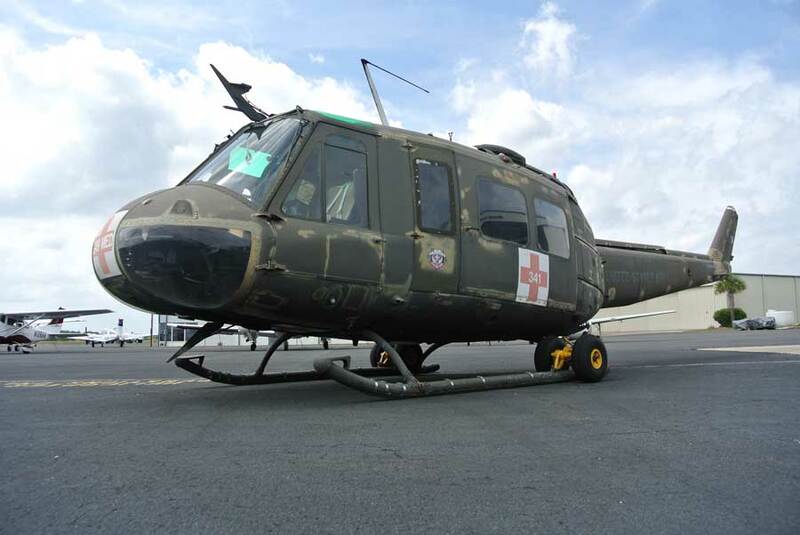 Huey helicopters also played a significant role when hurricane Katrina devastated New Orleans, plucking people off rooftops and highway overpasses and carrying them to safety. In Vietnam from May 1967 to December 1968, Jim Christensen was a crew chief and mechanic, working on C, D, and H models of the Huey. 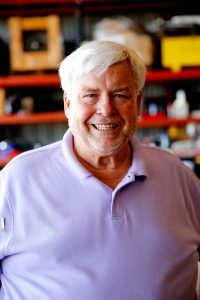 “My helicopter company was the 281st Assault Helicopter Company, and they were the first Special Operations helicopter in the Army,” Jim says. “Being here brings back memories.